Have you made your plans yet for Spring Break? Make reservations to splash & play this Spring Break - March 8th – April 21st, 2019 - at Arrowwood Lodge at Brainerd Lakes! Up to 4 people and 4 waterpark passes - Please check our waterpark hours of operation prior to making a reservation. 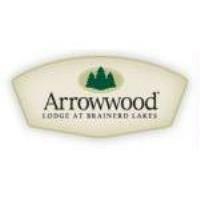 Reservations can be made by calling (877) 687-LODGE or online at www.arrowwoodbrainerd.com. Please verify waterpark hours prior to making reservations. Rates based upon availability and are subject to change.